Win the chance to meet Paul van Dyk! On Friday 8 May, Paul van Dyk is taking to the stage at O2�s new superclub Matter. But you could meet him at an intimate gathering at London�s stylish 24 and get an exclusive preview of the new Paul van Dyk iPhone application by entering an exciting new competition. This is an exclusive party to celebrate the launch of the new application and the upcoming Best Of album - Volume. The new app will appeal to fans, music enthusiasts, and professional djs alike and features a BPM counter, frequency analyser, decibel meter, seismic reader, virtual glow stick, dj check list, and an itinerary manager. Winners will also be able to hear Paul van Dyk�s Best Of album and meet the man himself before he heads off to play at Matter. 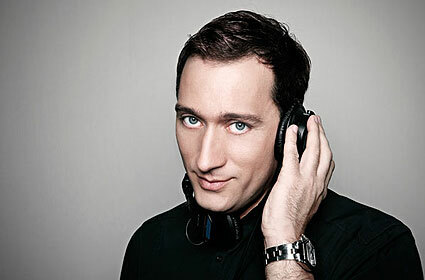 What is the name of Paul van Dyk�s worldwide radio show? Email your answers, including a phone number and email address, to pvd@newstatedigital.com. The deadline is 1pm on Thursday. Please note: all competition entrants must be 18 or over and the winners will be contacted by telephone on Thursday 7 May. Winners are responsible for their own travel and accommodation while attending this event.